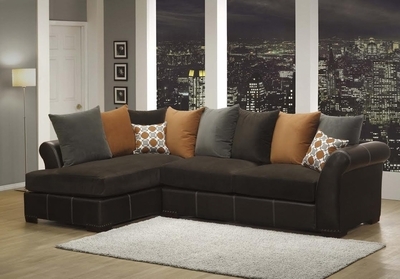 The Sonoma Bella Chocolate sectional is a must have piece for your living. Sonoma Bella will maintain its shape and invite comfort for years. A combination of high-resilience seating and removable back cushions invite you to sit back, relax, and stay a while - as willTrujillo's high-quality, soft felt upholstery.